FRAMINGHAM, MA — In response to Governor Charlie Baker’s request for federal disaster assistance, the White House and FEMA announced today that the President has issued a Major Disaster Declaration that will make federal disaster assistance available for the severe winter storm that impacted the state on March 13-14, 2018. Federal aid will be available to cities and towns, state agencies and certain non-profits in five counties to help cover storm-related response and repair costs as a result of this severe winter storm. For the March 13-14 winter storm, which was the third in a series of intense back-to-back storms, federal disaster assistance has been authorized by the President under a Major Disaster Declaration for Public Assistance, including Snow Assistance, that covers five Massachusetts counties: Essex, Middlesex, Norfolk, Suffolk and Worcester. These are the five counties whose eligible storm costs exceeded federal financial thresholds under the Public Assistance Program. The March 13th storm included heavy snowfall that set records, or came with 90% of records in the five counties. The storm also brought damaging hurricane-force winds that resulted in widespread power outages. The Baker-Polito administration previously announced a federal disaster declaration for six counties for the March 2-3 2018 winter storm. Total reimbursable costs for each storm are expected to exceed $25 Million. Under the Public Assistance Program, affected local governments, state agencies and some private non-profit organizations in the declared counties will be reimbursed for 75% of their costs associated with response and emergency protective measures, including storm-related overtime for first responders, clearing debris from public roads and public property, and repairing, replacing, restoring or reconstructing damaged public facilities and infrastructure. Federal disaster funds will also be available for projects that will mitigate the costs and impacts of future disasters. For the March 13-14 storm, which included record, or near-record snowfall in the five counties, local, state and non-profits may be reimbursed for 75% of their snow removal costs. Under the Public Assistance program, snow removal costs are reimbursable only when a county receives a record snowfall, or comes within 90% of the record snowfall. 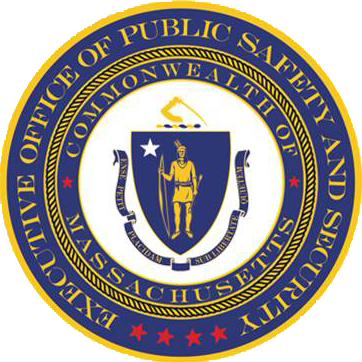 In the near future, the Massachusetts Emergency Management Agency and FEMA will announce a series of information sessions in the impacted counties during which the process for applying for federal disaster assistance will be explained to municipal and state officials and eligible non-profits. MEMA is currently conducting information sessions for municipal and state officials and eligible non-profits about the application process for the March 2-3 disaster declaration.